Have you ever found the perfect garment – something you just can’t wait to wear – at the end of the season only to have to store it in the back of your closet (or your “out of season” closet) a few weeks later? 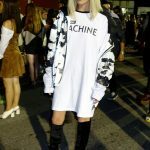 Well, I want to share an outfit with you that saved one of those pieces from exile – hoping it will also inspire you to transition some of your fave garments from last season into this one. 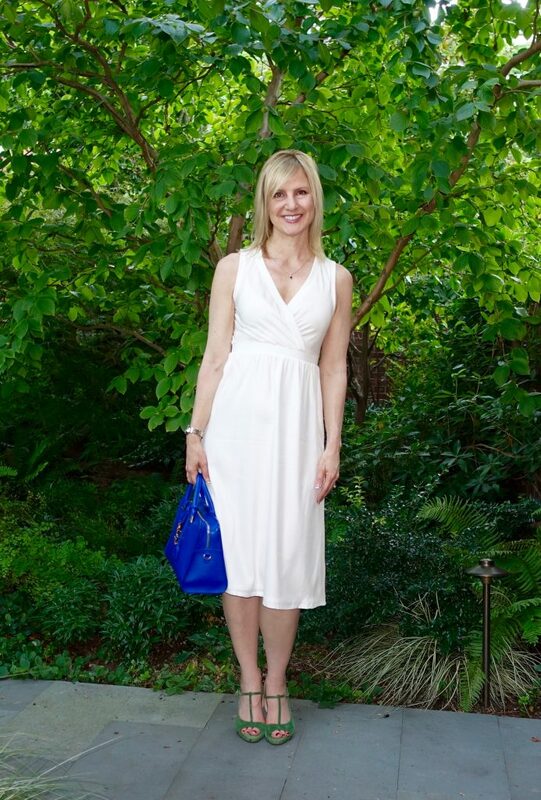 Repurposing warmer weather pieces is especially easy with lighter weight skirts and dresses like this silk ivory sleeveless number, with which I fell in love as soon as I saw it on a hanger at Barney’s. As I tried it on in late summer, I determined that I would make it work in cooler temperatures, and besides, I rationalized, I’ve been on a mission to lighten and brighten my fall wardrobe anyway. You might remember my post about this dress with green sandals and a blue bag. In that Barney’s dressing room, I envisioned wearing it with a black sweater and black boots. I just love combining white and black. It’s chic, so simple – unlikely that the combination will not work – and never seems to go out of style. Many a light-colored summer dress can be carried into fall by topping it with a darker-colored sweater or blazer and wearing boots or tights underneath. A black and white palette makes layering especially easy! And although the look is relatively easy, I felt that if I wanted to flatter my particular shape, I couldn’t wear this dress with just any black boots and sweater. I wanted to preserve the silhouette created by the empire waist – so flattering on a pear-shaped figure – and so, I chose a fitted cashmere cropped sweater with lace cutouts. Over the sheer ivory top, it is comfortable in cooler temperatures, and the cutouts stand out even more. I can imagine that on another shaped figure – a rectangle or apple, for example – this dress would look awesome with a bulky sweater and heavier (maybe moto?) boots. However, in order to visually slim my lower half, I chose sleek and leg-lengthening over-the-knee boots with a pointy toe. They also made for a more elegant look for dining out with my sweetheart. The outfit certainly brightened my mood on a cool, dark Seattle evening. I suppose you could say that I had the right idea in that dressing room! Do you have any lightweight skirts or dresses you might be able to stretch into fall? 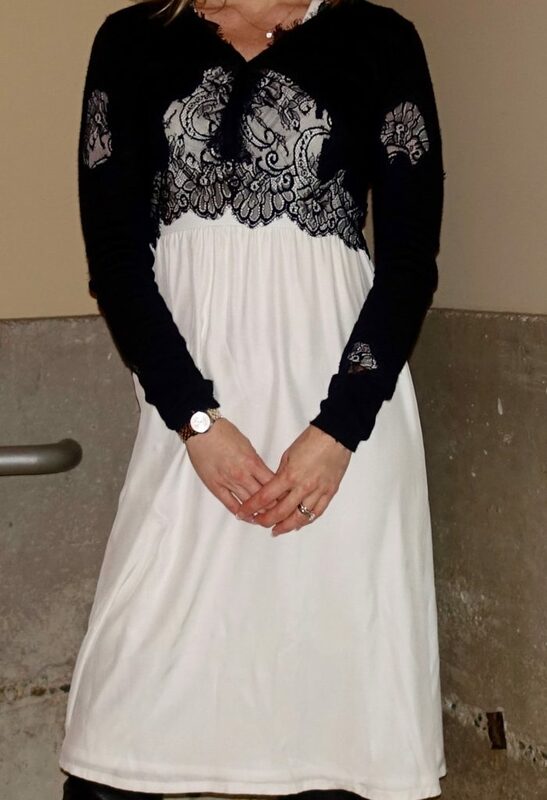 I love how the long-sleeved sheer top totally changes the look of the dress! Super versatile + fun!